So, the date is set, the invitations have gone out, the dress is on order … now what about the “complicated bit”. Will your beautiful Lake Como wedding be official when you get home? How do you legally get married in Italy? Two of the questions we get asked most often is: How long do I have to live in Italy before I can get married? And what are the legal requirements for getting married in Italy? For British nationals? For Irish? For anyone? First things first. Most constituencies will allow you to arrive just 4 days before the wedding although this can vary sometime to as much as 45-days. Your wedding planner can be a great help here as they’ll know all the requirements of every local council. 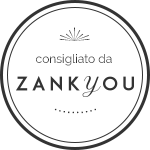 Having a wedding planner will by far facilitate any Italian bureaucracy so we really would advise using someone local for all the legal stuff. You are probably already working with someone for the organisation of the rest of your day and at Bespoke this is just one of the many services that we offer. Italian bureaucracy can be painful at the best of times, even if you speak the language, but talk to one of us and we’ll be happy to get your paperwork sorted so that you can return home as a legally married couple. Thankfully, the legal paperwork for getting married in Italy is very easy, but like most things Italian, overly complicated if you’re not familiar with the system. Follow our basic step by step guide and there will be nothing stopping you from saying “I do” in Italy. But don’t forget that we are here to help you through every step of this process. 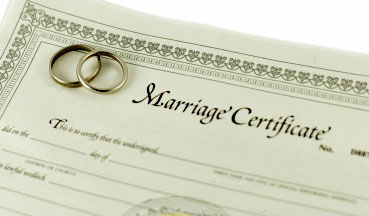 Six months before the wedding date British couple will need to publish the banns locally. This might seem like an antiquated tradition but only once you have informed the world of your intended wedding date will the register office issue the next important document you need (this should arrive 23 days after you’ve published those banns): the Certificate of No Impediment. How’s that for a title? Irish couples will need to complete a Certificate de Coutume (Freedom to Marry Certificate) and a MP2A form. You can register for both online. US couples need an Atto Notorio. Have a quick check with the Italian Embassy closest to you, as paperwork requirements can vary. And they’ll register the marriage. All you have to do when you get home is register your marriage with the births, deaths and marriages bureau and it’s happily ever after!